Happy furday Friday, friends! Welcome to the latest edition of Furry Friday Feature. 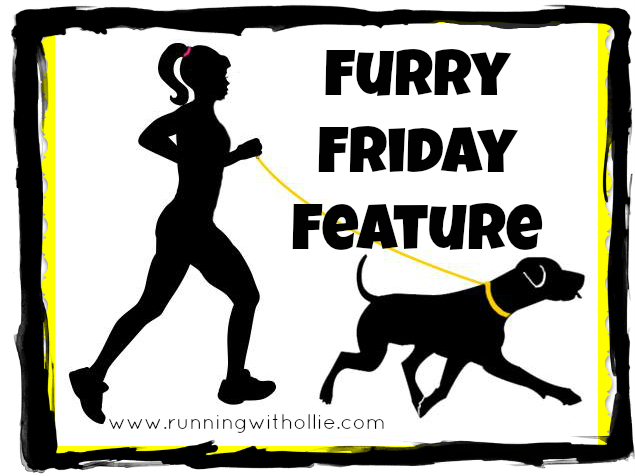 Once a month on a Friday, I feature a furry four-legged runner and their favorite human. This is an extra special Furry Feature! 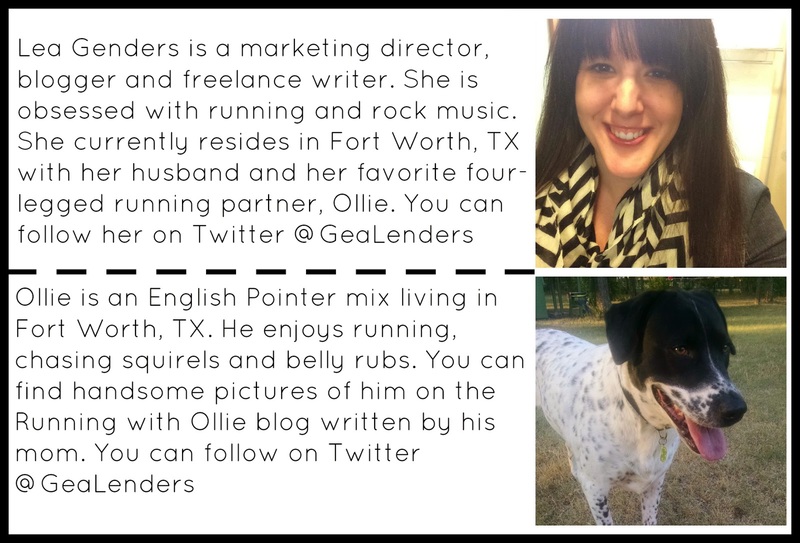 This is first professional dog we've ever featured! Neo is a K9 police dog. Hi, Joe. 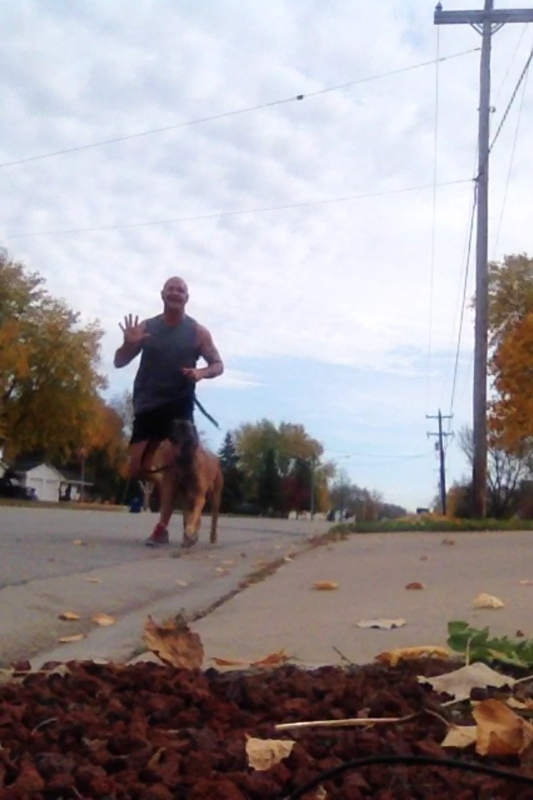 Tell us a little bit about your favorite running partner. 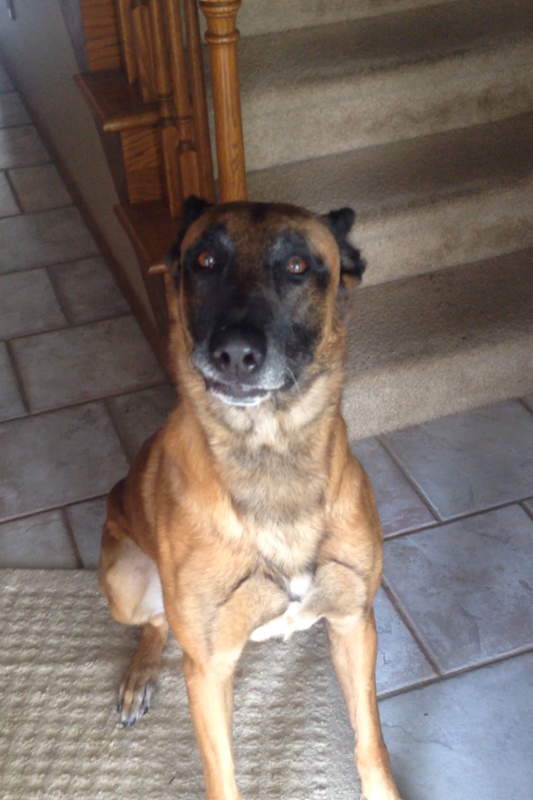 Neo, my Police K9 partner at the Green Bay Police Department in Wisconsin, is a 6 year old, male, Belgian Malinois. He is a dual purpose Patrol Dog. 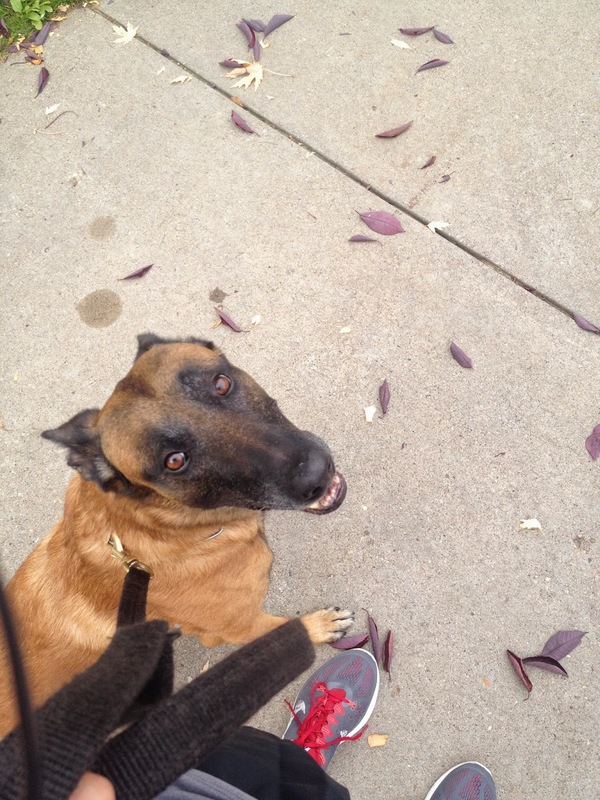 He specializes in tracking, apprehending bad guys, and finding narcotics. There's a trail course, AKA the arboretum trail, at the University of Wisconsin-Green Bay, that's about 5 miles. It's beautiful!! 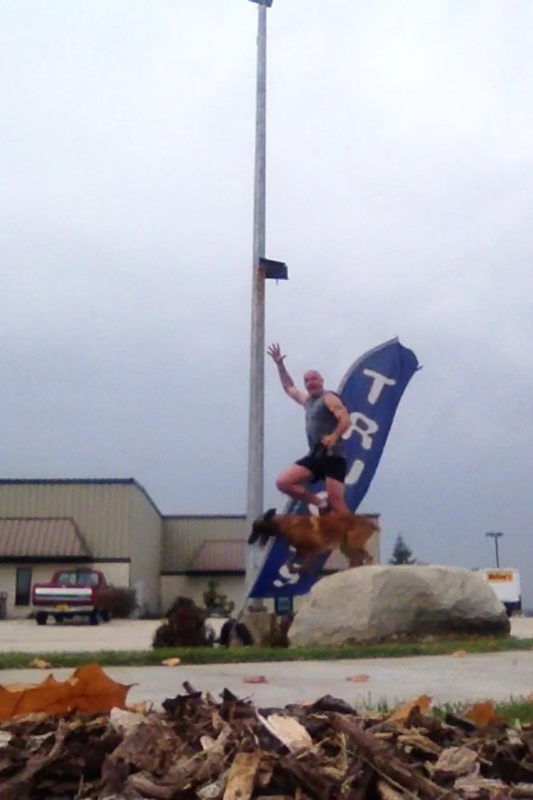 We also like to take off out of our front door and run around our neighborhood. We have a 4, 5, 6.5, and 8 mile course that we use starting and ending at our house. We have never been in an official race together. BUT, we have raced to some serious calls in our squad car while we were working!! Lights and sirens responses can be dangerous and sometimes, just seconds, can mean the difference between life and death. I have a couple of runs that I like to remember. The first is when I ran the Bellin Run with my daughters. It's a 10k and was just a little more than they were ready for. Yet, we had a great time and still laugh from some of the memories. The second is finishing my first marathon. That was awesome!!! 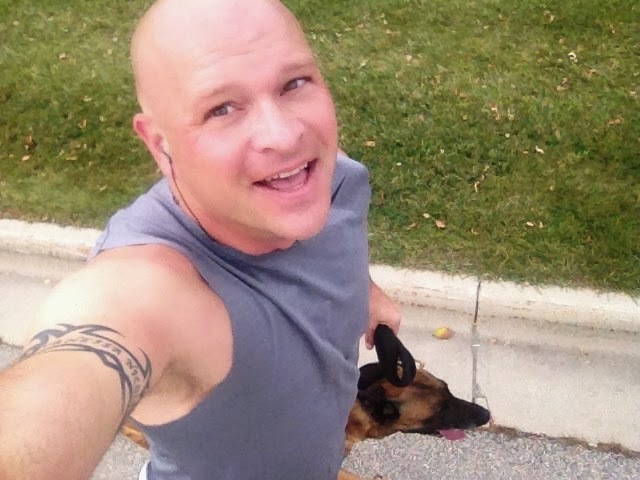 Running with Neo keeps me on my toes, literally. He takes off so fast and his past pushes me to do my best to keep up with him. And we get home after our run, he has a little water and then reminds it's time to relax after a good run!! You can follow Joe and Neo over on Instagram. Although Joe doesn't have a Facebook, he suggested we all follow his wife at Kario Fitness! I'd love if you would leave a comment for Neo! Keep up the good work, Neo and Joe! Get those bad guys! Nice to meet Neo and Joe doing great work in my old hometown!